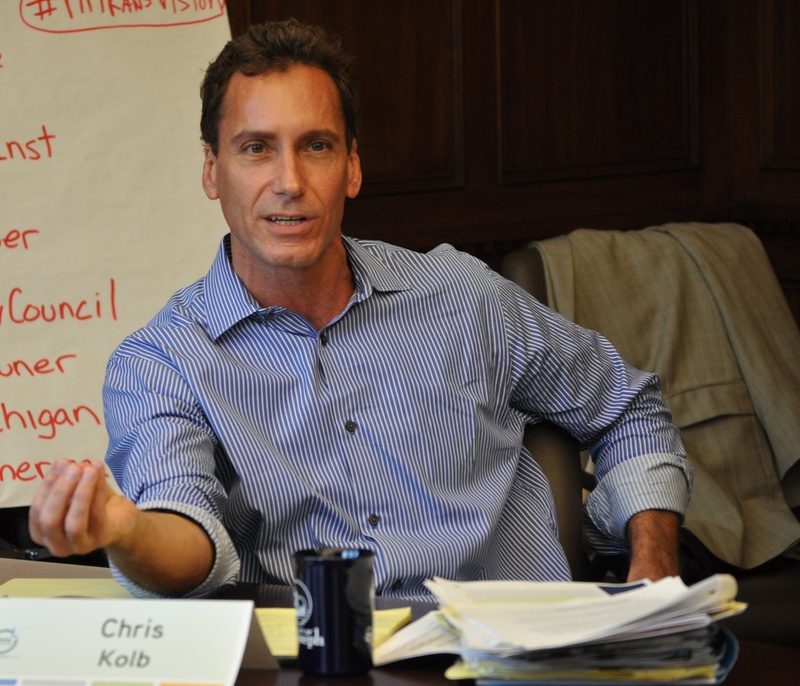 Chris Kolb served as a state representative, as a member of the Ann Arbor City Council and in the environmental management field before becoming president and CEO of the Michigan Environmental Council in 2009. Kolb was one of the Legislature’s most consistent and vigorous defenders of clean water, clean air and public health during his six years in the State House. He was instrumental in important environmental legislation, including joint planning commissions, land bank authorities, lead poisoning prevention for children, regulation of dangerous polybrominated biphenyl ethers (PBDEs), establishment of a fund to help clean up leaking underground storage tanks, and numerous land use initiatives. In 2015 he was appointed by Gov. Rick Snyder to the Flint Water Advisory Task Force, which investigated that city’s drinking water crisis, found state-appointed emergency managers and the Department of Environmental Quality chiefly responsible and provided recommendations to prevent similar disasters statewide.